Initially, Judge Thomas Wingate ruled compensation of 290 million. Dollars, but by a decision of December 23, 2015 the magistrate tripled the amount as stated Amaya and to pay interest at the rate of 12% or more 104.4 million. Dollars a year until payment of compensation. 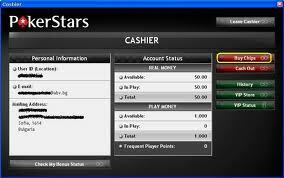 Based in Canada, the gaming company that acquires PokerStars through 2014 to 4.9 billion. Dollars by taking control of Rational Group, plans to appeal the decision in January 2016 for illegality. According to Amaya court decision contradicts the earlier decision of November 2015, which assumes that the damages will be determined based on the net losses of the players. The new decision of the court calculated the damages based on gross losses of players, without regard to profits, bonuses and free games, transmits Reuters. By Amaya further stated that the profit received from players from Kentucky during the period 2006 - 2011, it is only about 18 million. Dollars. It was also alleged that the court in Kentucky relied on outdated law that allows people suffered losses from gambling to judge your opponents instead authorize authorities to litigate and collect the amounts budgeted. The company plans in the event that the decision entered into force, whatever the amount of compensation to seek reimbursement of the amount of the old owner of PokerStars.